Sell domains, websites, hosting packages and much more with our Basic Reseller Package. Set your own prices and keep the commissions for yourself to spend or help fund your business. 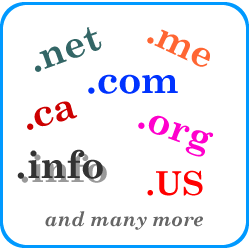 This is a proven solution for developing professional websites that a beginner reseller can use to attract and retain domain name and website hosting customers and clients and earn real, recurring revenue from your own sales as a domain and hosting reseller. Below is our Basic Reseller signup page included here so you can see it. With this Reseller Package you could be selling these services on your own website in about an hour from now! But, you have to sign up to make it work for you. Are you Ready? See the Basic Reseller signup screen in full-screen mode now.